And here I sit, in the scariest section of my fair metropolis, sipping a terrible coffee and nibbling at a doughy macadamia nut cookie. I am surrounded by retired people who all seem to have some form of mental or physical disability, a group of Indian people, a group of Asian people, all in clusters. Outside, three meth heads yelling at birds, ants, cars, each other. All the latter are blissfully staying away from my Audi that I parked at the far edge of the property. Why am I here? To research? To write? To spend time among the average folks and gain insight into their culture? My son is at the comic shop across the way playing Magic the Gathering. 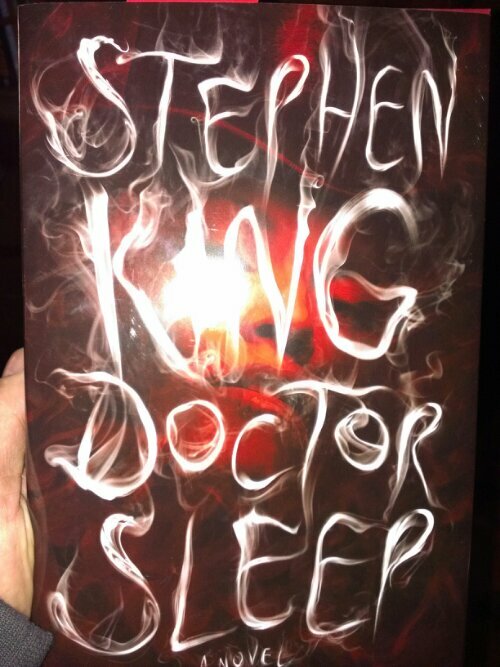 I wait patiently and read Doctor Sleep hoping I don’t get shivved before it is time to collect me.. I like dressing well. I like shirts, pants, ties, good, well made, well cut clothing. I like good, shoes, not ridiculous shoes that fit a fleeting, current trend (such as the relatively recent desire to make and sell point toed footwear) but traditional(ish) leather footwear with sewn heels and colours that of black, dark brown etc. I like sweaters and hats, though I never wear them. I have read GQ since I was thirteen and am the grandson of a tailor who made suits for Canadian celebrities, military officers and well known politicians. I understand good clothing. I do not however own a suit. Suits are rarely needed in the real world. A wedding, a funeral, an award ceremony. These events are the only ones that truly seem to warrant the wearing of a suit and even then it is optional. I make due with a jacket if needed, a tie (again, if needed) pants and such as do most people with a modicum of fashion sense. Not many life events require a suit nowadays and I for one decry this change in society. It is similar to how golf has become such a mainstream hobby that one cannot visit a course even in the middle of the week and golf a round without being forced into a foursome or twosome with a stranger by those that run the course. The plebs have become the ones that make the rules and I do not like this. 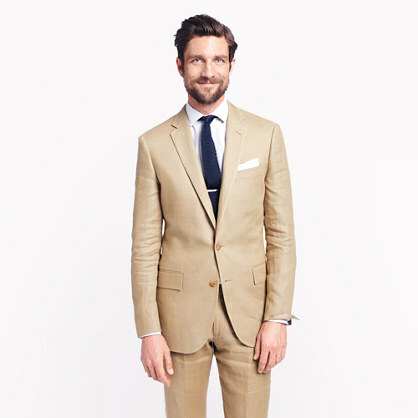 I want a good suit, a nice well cut, well made, not off the rack suit made of a dark linen or a grey pinstripe wool for colder days but honestly, I have no chance to wear one. This to me is a sign of end times. The masses rule. Suit wearing does exist however in the world of business. Suits are worn by persons trapped in tedious finance and business related careers where elder management still expect persons to do so. Accountants, lawyers, finance analysts, all the people who occupy careers nobody outside of those jobs would want, they wear suits. It has become a uniform of the sixty hour a week crew. The tedious people who put work ahead of life, who are “defined” by what they do rather than how creative or interesting they are as people. This makes me and others who yearn for the old days less likely to buy and wear a suit unless Gran kicks the bucket. I miss the days when I could not afford a good suit but wanted one. The space time continuum has flipped. I didn’t start watching this show until last winter. I know, I know, it is an excellent bit of television but honestly, when people start telling me something is great or I see something is highly popular with “the masses”, I start thinking it must be crap. Example, people tell me Duck Dynasty is fun to watch. People watch Honey Boo Boo. People watch Mad Men which I couldn’t get three episodes into before I started fondly looking at my “50 Horror Greats” dvd sets of cheesy camp from the 50s. I quickly became engrossed in the show and chewed through the first four seasons on DVD and the first half of Season five via a helpful friend with much better internet than I. I was hooked. My wife was watching with me but after a few trips to Toronto by train I was a season ahead, then two then three. By this summer I just give her updates. With the penultimate episode over, I wont bother to write a summation of it or the show, I will simply say that I have thoroughly enjoyed it and thank both Vince Gilligan and Bryan Cranston for their efforts along with all associated actors and workers on the show. Disclaimer: IF you end the show with a ridiculous episode as done in the finale of Lost, I will make it my life’s work to discredit everything you ever make from now on.. Just sayin. No snow globes, no gatherings of people in a church. No unanswered questions. Marie: I really really hate Marie. Irritating, irrational, purple, snarky, shoplifter (hey there is a underlying plot not really resolved…), badgered her husband like a hen. Hope she dies. Walt Jr. (aka Flynn): A nice kid but really, REALLY naïve. The fact he wanted to change his name and never changed it back fully in the eyes of everyone after he and his dad made up was evidence he was a bit of a jerk. Not accepting the cash from his father? Nuts. Uncle Hank was an oaf. You would think he’d want to hear his dads side of things. Skylar: Why do men do insane things? Well a variety of reasons. Skylar could drive a man to ethnically cleanse and she still wouldn’t be satisfied as he didn’t spray the killing fields with enough Fabreeze. She is selfish, vacant at times, irritating, mean, angry. People of course will say this is with her children’s best interests at heart but is that always a valid excuse for doing whatever you want? Ugh. Hope she dies. Hank: Big thick headed dufus. If I had a brother in law like this, I’d be drunk at all family functions or at least absent. Irritating as his wife. Dead. This is good. Jesse: Naive like Walt Jr. Able to do a job/task given to him unthinkingly but then thinks about it later and freaks out. Unable to walk away due to daddy issues. Never makes the right choice. I hope he lives and takes a relocation service to Alaska to become a crab fisherman. Walt: He is so so dead. He had made very bad choices for good and bad reasons. He has been shafted by the establishment, his former business partner, his wife, his employer, his colleagues, strangers, his immune system. He needs to die but only to close the circle so to speak. I wish he had walked away from everything ages ago but that wouldn’t have made for good TV. He is everyman. Hero, villain, anti-hero, anti-villain.